The San Antonio Police Department’s Public Information Office has confirmed that Assistant Chief James Flavin has been named as the department’s liaison to the LGBT community. 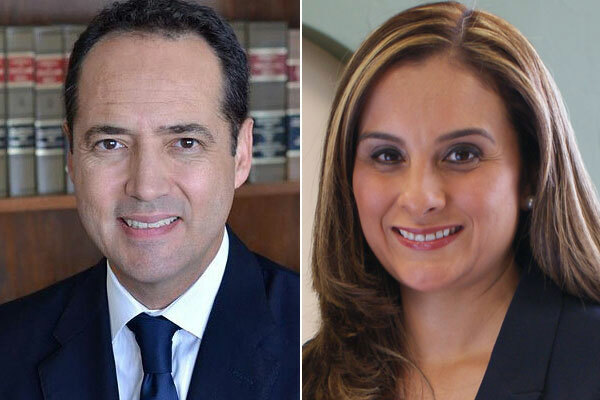 Flavin replaces former Assistant Chief Jose Banales as LGBT liaison. Last April, Banales accepted the job of police chief for Texas State University in San Marcos. Flavin joined the SAPD in 1988 and spent seven years as a patrol officer. After a promotion in 1996, he worked three years as a detective-investigator in the Vehicle Crimes Unit. He was promoted to sergeant in 1999 and in 2004, he advanced to the rank of lieutenant. By 2007, Flavin had risen to the rank of captain. Earlier this year, he was appointed assistant chief and commander of the Operations Support Bureau. Assistant Chief Flavin holds a Bachelor’s Degree in Criminal Justice from Wayland Baptist University and a Master’s Degree in Homeland Security from Angelo State University. He is also a graduate of the 261st session of the FBI National Academy in Quantico, Virginia. 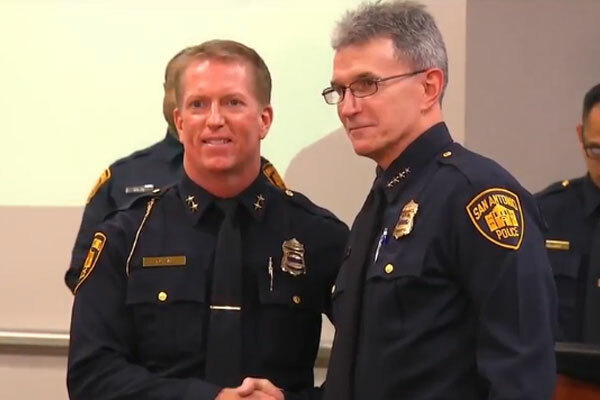 The first SAPD LGBT liaison, Captain Larry Birney, was appointed by Chief William McManus in 2006 as the result of a September 2005 report issued by Amnesty International that portrayed the department as hostile and homophobic. The report titled, “Stonewalled: Police Abuse and Misconduct Against Lesbian, Gay, Bisexual and Transgender People in the U.S.” contains numerous case studies that detail how San Antonio LGBT citizens were verbally abused, physically roughed up, intimidated, and entrapped by police officers, park rangers and Bexar County jailers. Since the time of that report, the SAPD’s relationship with the LGBT community has steadily improved thanks to Chief McManus’ guidance. That progress includes the Peace Officer’s Training Committee which was initially organized in 2006 under the aegis of the Stonewall Democrats of San Antonio and which provides LGBT sensitivity training to cadets at the police academy. Today that committee is administered by Pride Center San Antonio and continues to provide sensitivity training to every new class of cadets. Assistant Chief Flavin will make his first public appearance as LGBT liaison at a “Community Conversation” hosted by Equality Texas on November 30 at the Brick at Blue Star. The event is billed as “a special learning session aimed at increasing the community’s understanding of issues facing LGBT Texans.” The others on the panel of speakers are Chuck Smith, executive director of Equality Texas, and Kiran Bains, director of the city’s Office of Diversity and Inclusion. The evening will be moderated by local activist Robert Salcido. Assistant Chief Flavin can be reached by telephone at 210-207-7360 or by email at [email protected].